It’s tax season and rainy season, so chances are, either your stress or arthritis is flaring up. Getting quick relief on-the-go proves fairly difficult since you usually have to wait 30 minutes to an hour for your medication to take effect. 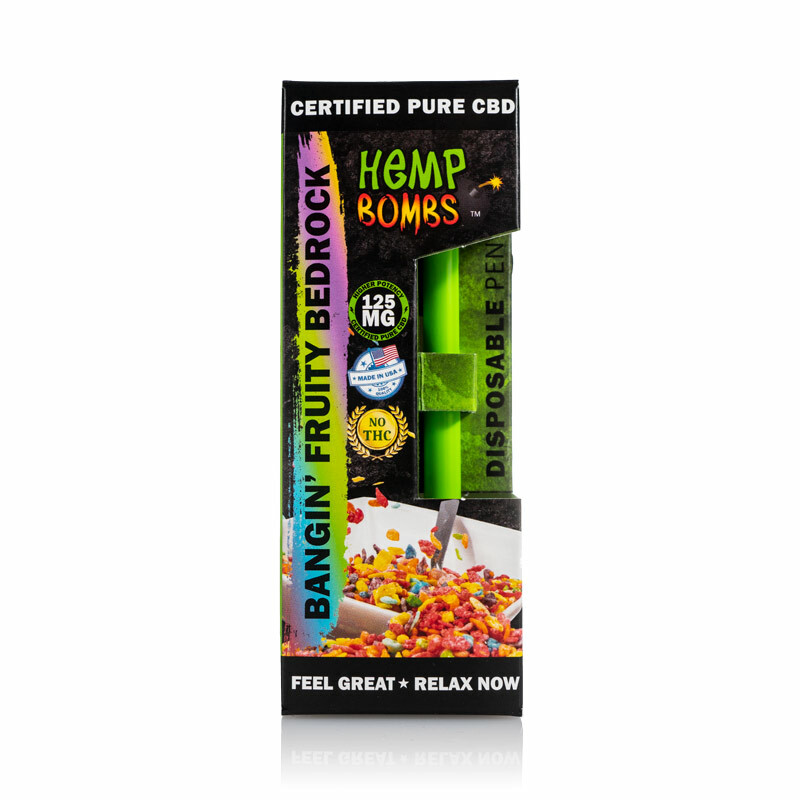 Fast-acting products like Hemp Bombs Disposable CBD Vape Pen potentially reduce the effects of pain and anxiety to make you more comfortable. Here are five reasons to keep your vape pen handy this April. The sleek, cylindrical design of our CBD Vape Pen makes it easy to take anywhere. Don’t worry about making room for a clunky vape device. This pen fits right into your pocket or purse. The design will disguise your vape, and the sweet aroma will cover your tracks. It doesn’t get easier than this ready-to-use device. There’s no figuring out what button to push or worrying about battery life with this pen. Simply inhale, and you’re good to go. When you’re done just recycle and open another. Vaping is one of the fastest ways to feel the effects of CBD. Because you inhale the vapor, the compound enters the bloodstream more quickly through the lungs. This allows the CBD to distribute to your cells faster, so you feel the effects sooner rather than waiting for the compound to absorb through your digestive organs. When you’re having a painful flare-up or a panic attack, you don’t want to wait for your medication to kick in. Instead, experience near immediate results in a CBD Vape Pen. Each Disposable CBD Vape Pen comes equipped with 125mg of pure CBD for relief and wellness. You may be using the pen for your pain or stress, but that doesn’t stop this therapeutic compound from benefitting you in other ways including better sleep, improved immune response and healthier skin. 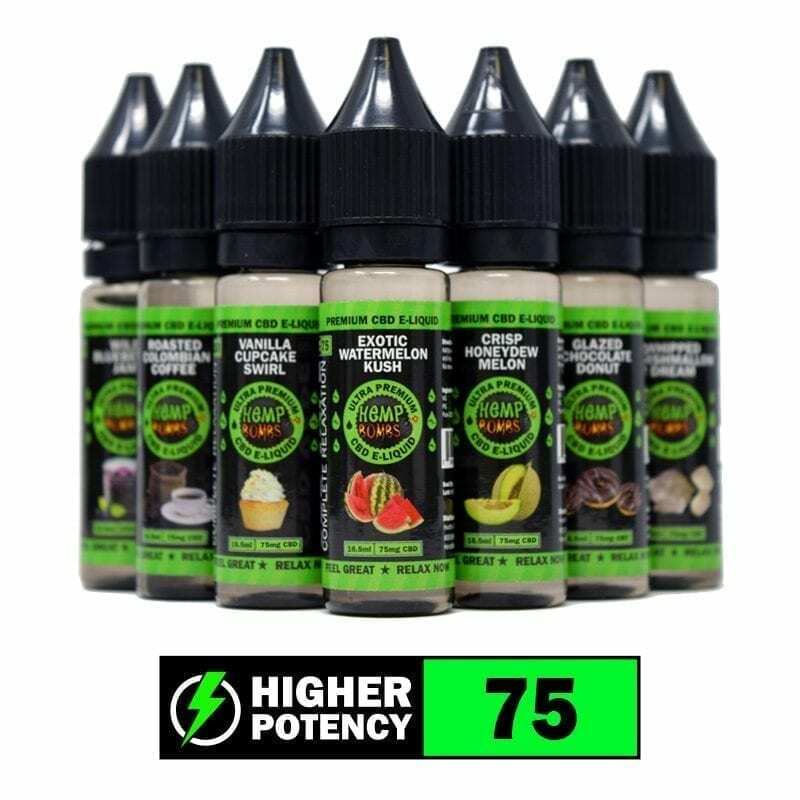 CBD E-Liquid has healing properties that may reduce swelling and redness to help you feel your best. We offer our CBD Vape Pens in three delicious flavors for you to enjoy: Exotic Watermelon Kush, Bangin’ Fruity Bedrock and Wild Blueberry Jam. Each puff is packed with flavor that tastes just like the name describes. Our 70/30 VG/PG ratio encourages maximum cloud production so that you can feel calm while exhaling. 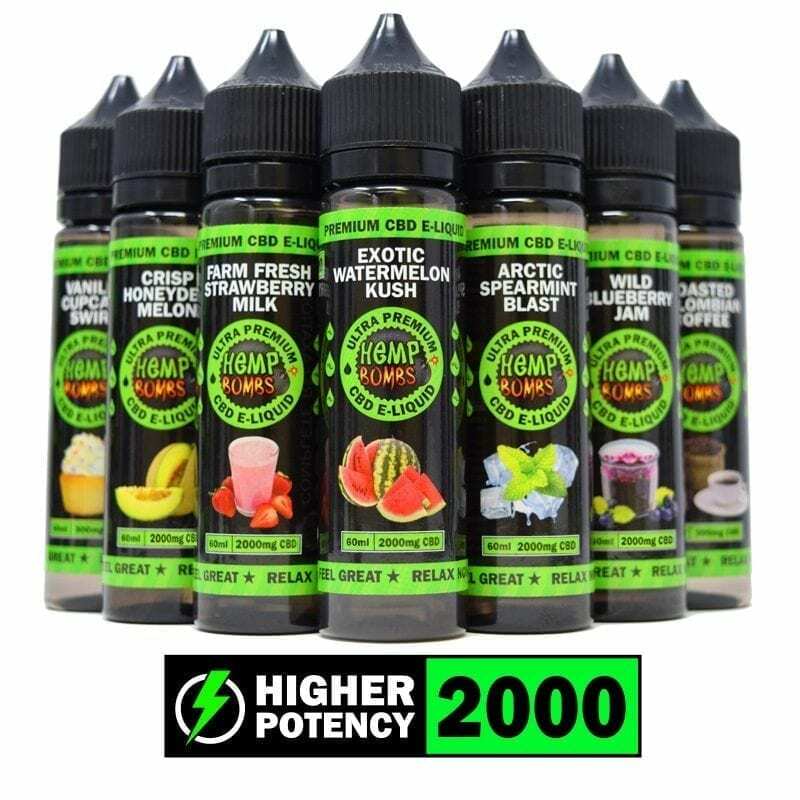 Vaping Hemp Bombs CBD vape juice delivers an enjoyable and beneficial experience to help you relax and unwind at the end of the day. Our Disposable CBD Vape Pens deliver the healing benefits of CBD while you’re out and about quickly and easily. Need more than 125mg of CBD? Our pre-filled Vape Tank Cartridges are available in 125mg, 300mg and 1000mg to meet your needs. Just attach to a 510 threaded battery and enjoy relaxation in any flavor. 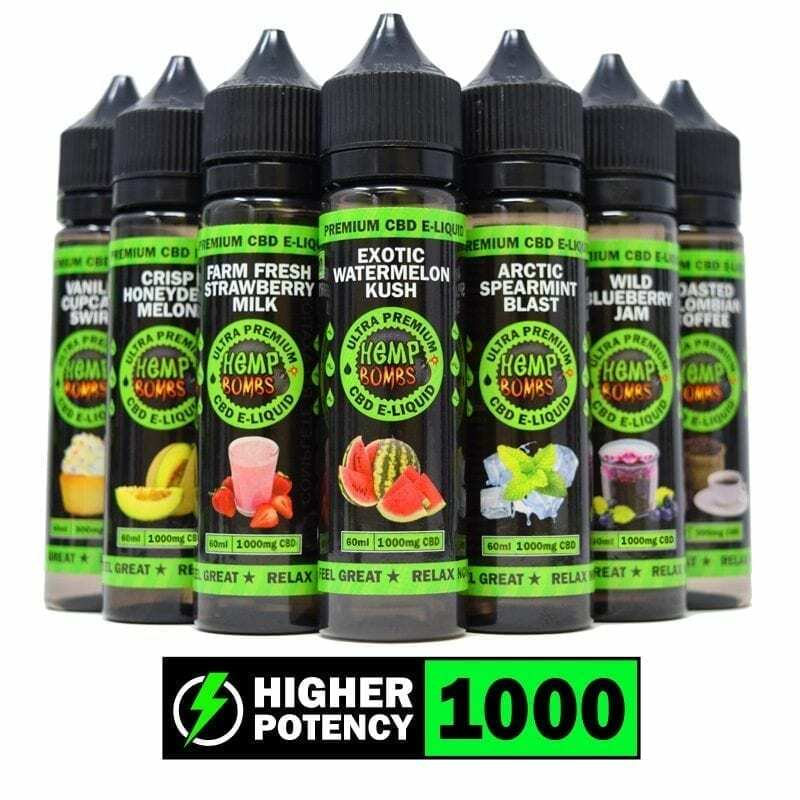 For more experienced vapers, try one of our tasty CBD E-Liquids or our unflavored CBD juice additive to feel the effects of this natural compound.